Dr. Colvin R. de Silva’s 1972 Constitution must seem paradoxical in retrospect. He made Parliament all-powerful by removing constitutional and legal restraints on its power. Using its untrammelled legislative power, the Parliament divested itself of its executive power and vested it with the new presidency of 1978. This was made amply clear when Jayewardene possessed himself of undated resignation letters from his UNP MPs. 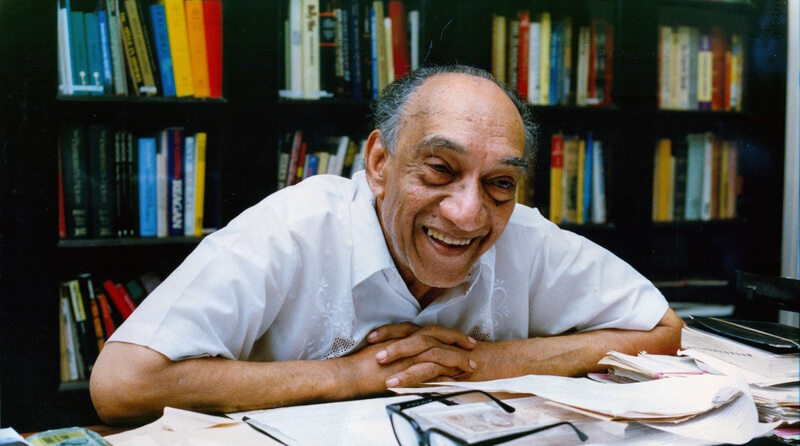 By 1982, Jayewardene doubted his legitimacy to such an extent that he would not trust his own MPs, some of whom may have felt uncomfortable about the Referendum. What the Parliament could do under the 1978 Constitution, was to refuse to pass legislation as Jayewardene wanted, or even impeach the President. Later, as president, Premadasa showed how difficult impeachment was. Even with a reduced majority in Parliament and a narrow support base, Premadasa survived attempted impeachment using all his manipulative powers as president (see Sect. 18.4). What Jayewardene and Premadasa did for their survival was to corrupt Parliament so thoroughly that except in externals, it became a different phenomenon from what it was under the Soulbury Constitution. In the old days MPs were modestly remunerated, they travelled by train, and often became poorer for taking to politics. Under Jayewardene’s system, to become an MP was to strike a gold mine. Salaries and perks were increased enormously, including duty-free cars. So high were the stakes that elections came to resemble a mini-civil war. Another source of corruption was the tendency to increase the number of ministers to an astronomical number, without precedent anywhere else in the world. Premadasa started by reducing the number of ministers from levels maintained by Jayewardene, but reverted back to former levels as the price for staving off impeachment. How endemic this tendency is can be seen from the example of President Kumaratunga. During her first term (1994-2000), she made reformist noises and started with a cabinet of just over 20. However, during her second term where she felt her support to be more shaky, the number was increased to more than 40. Thus among the 125 MPs supporting Premadasa in Parliament, 90 or so were either cabinet ministers or state ministers. In Kumaratunga’s second term, it was about 80 out of 115 MPs supporting her in Parliament (the total in Parliament being 225 MPs). In normal parliamentary practice, the back-benchers (govern- ment MPs who were not ministers) kept a check on ministers and raised questions, ensuring less corruption and better government. In what we have today, back-benchers have been reduced to an ineffective minority. The system has become in effect one of bribery all but in name. This arrangement cannot admit any national planning or identification of national priorities. The people themselves tend to lose track of who is in charge of what. We have scores of ministers making policy decisions based on their private contacts, often foreigners, foreign firms and their agents. When an arrangement is purposefully geared towards maximizing corruption, it is inevitable that it is how things go. If the rhetoric of the authors of the 1972 Constitution pointed to the apogee of a planned economy, that of the authors of the 1978 Constitution has resulted in anarchy. Wheeling and dealing has become a substitute for governance. Parliament has been rendered a white elephant that is too heavy a burden for this poor country. If one takes away the rhetoric of development aired in the 1970s by the constitution framers of the Left and the Right, the results suggest that we were better off under the old Soulbury Constitution. It was trim and unpretentious, and more suitable a receptacle for democracy. A perpetuation of the 1978 arrangement would lead to the people becoming more cynical and losing all confidence in democracy. We had got used to being reminded each week of various half remembered events, but this time what we see is an account of how it was JRJ’s constitution that instituted self-aggrandisement as the hallmark of an M.P’s activities. The comparison of the 1972 and 1978 constitutions is apt at a time like this when we are preparing to give our thoughts on yet another constitution. We must bear in mind that what we are now reading what was written 16 years ago. I regret to note that it is strictly no comparison of the constitutions. What are compared are the rhetoric of one and the outcome of the other. If it is rhetoric that is compared, JRJ’s scriptwriters, including his Canadian Tamil friend, did an impressive job. We heard of a Democratic Socialist Republic, Dharmishta Society, fundamental rights provisions and making a Singapore of this island. As for corruption, bribe taking by MPs was already in place on a small scale by 1950 and as time passed ‘inflation’ caught up. Job chits from MPs were a bonus. Transfers came with a fee. There were others who made big money on big jobs: if not them their friends and family. If engineers and overseers can collect bribes, why not politicians? JRJ, being the democratic socialist he was, simply enlarged the canvass. Note: I have serious reservations about the attempted equating of JRJ and RP, which I will go into a little later. This is a cancer that must be removed. Very few of the sitting MP’s are likely to support the surgery. I think the blame must go to to the supposedly literate Sri Lankan voter, a feudalist at heart, who expects his MP to shower blessings on him, like rolyalty. Compare this to the Indian voter, who is said to be far less literate. Maybe too much education is the problem! If this full sentence of yours was taken in its contextual sense,you are by no means making a comparison of the 1972 & 1978 constitution per se. true; we have to apply our experience to the formulation of a new constitution: something that I cannot even think of attempting. I hope more competent people address their minds to this. 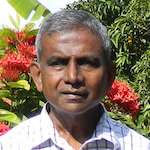 “Thus among the 125 MPs supporting Premadasa in Parliament, 90 or so were either cabinet ministers or state ministers. In Kumaratunga’s second term, it was about 80 out of 115 MPs supporting her in Parliament (the total in Parliament being 225 MPs).”. Under Rajapakse government we had 105 ministers out of 225 MPs. Not only ministers look at police, every pedestrian crossing on Galle Road has 2 policemen on both sides directing pedestrians whereas in police stations no body is to talk to any non-Sinhala speaking citizen or visitors. They can employ people who are bilingual and enable the laymen understand what’s done. Why Sri Lanka stays a poor banana republic is that the rulers are lazy to follow other countries and make employees and themselves efficient but only care about themselves and their families. Efficiency pays better salary and better standard of living. I suspect here a tendency to equate JRJ & RP. I think that the latter had a little more respect for the constitution than the former. I find it hard to imagine how the author could be so naïve as to imagine that any President would have passively yielded to an impeachment move. MK Gandhi was even worse when he manipulated the Congress to prevent SC Bose getting elected as leader because that would have meant his losing control of the Congress and therefore the independence movement. It is an understatement to say Premadasa did some pretty nasty things, but he was harassed and provoked by JRJ’s favourites for succession, whom RP earlier outsmarted by far less foul means. His ruthlessness against the JVP youth is what I am most angry about, despite the wrongdoings of the JVP. If appeasing the LTTE was a crime, which leader of the SLFP or UNP (except DBJ and JRJ) did not commit that offence? RP was dead right in wanting the Indians out (as much as JRJ did) and he achieved it— I doubt if JRJ would have if he stayed on —and the Tamil people should thank RP for that. The scale of political corruption has increased globally since the last quarter of the 20th Century, which also marked the global decline of the left and the re-emergence of imperialism as the dominant force in the ex-colonies. Corruption in India and the rest of South Asia was as visible as it was here. Politicians of Tamilnadu can tutor their Sri Lankan counterparts on making billions out of nothing. It is of no avail to be nostalgic about the Soulbury constitution, under which the Hill Country Tamils were disenfranchised; Sinhala was made official language in a rather provocative fashion; and we had an almost successful coup attempt by forces loyal to the biggest ‘democratic’ party of the time— and the offenders got away with it Scot free. Well… there are others who still think that we would have been better off under British rule. In politics memory does play funny tricks.